I've stopped for lunch in downtown Greenfield, which this weekend seems to have having some sort of outdoor music festival. These two must be among the oldest buildings in the downtown area, judging by appearance. The name on the left-hand buidling is the "Geo. A. Arms Block". 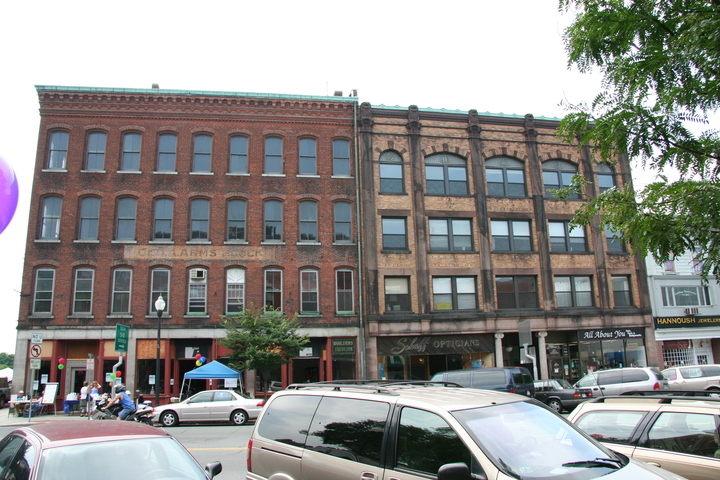 The yellow-brick building on the right, 275 Main Street, is home to W275AS (102.9 Greenfield), a translator for Keene country station WYRY (104.9A Hinsdale).